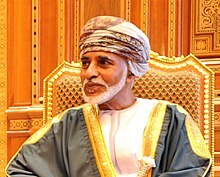 ↑ Al Sa'id, Qaboos (1940–) – Personal history, Biographical highlights, Personal chronology, Influences and contributions, The world's perspective, Legacy. Encyclopedia.jrank.org. Retrieved on 14 July 2011.